Payments banks aim to further financial inclusion by providing small savings accounts and payments/remittance services to migrant labour workforce, low-income households, small businesses, other unorganised sector entities and other users. 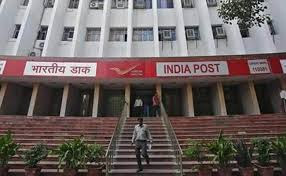 India Post Payments Bank (IPPB) is starting its operations from August 21. India Post Payments Bank will offer savings and current accounts, mobile banking, SMS banking, missed call banking and phone banking services. Customers will also be able to pay their bills and recharge their phones and DTH accounts via India Post Payments Bank. The bank, which has 650 branches, will also offer multi-lingual customer support. India Post Payments Bank offers three types of savings accounts: 1) Regular savings account 2) Digital savings account 3) Basic savings account. Interest rates on all three types of savings accounts are fixed at 4 per cent per annum, stated ippbonline.com, the official website of India Post. Small merchants/ kirana stores and individual businessmen can open current account with India Post Payments Bank. 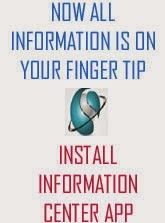 This account is a prerequisite for carrying out and expanding business. India Post Payments Bank - the IPPB system - has a facility of doorstep banking under which post offices and postal employees will make banking accessible to the remotest corners of the country. Customers will not have to leave the comfort of their home for their routine banking transactions. Customers can open a bank account, transfer funds, deposit and withdraw cash, recharge or pay bills and accomplish much more with India Post Payments Bank's doorstep banking services, at nominal charges. There is no charge for new account opening at a customer's doorstep. Through India Post Payments Bank's mobile app, customers will be able to access their IPPB account and carry out transactions from the convenience of their mobile phone. India Post Payments Bank, provides the facility of SMS banking so that customers can quickly access the account details on their mobile phones, by sending an SMS to the IPPB's SMS Banking number 7738062873. Customers can register their mobile number for IPPB's missed call banking service and start availing the benefits of missed call banking. India Post Payments Bank's phone banking services can be availed by customers by dialling their customer care number at 155299. India Post Payments Bank will offer RTGS, IMPS and NEFT services for transfer of funds. Those who avail the benefits of Direct Benefit Transfer (DBT) Scheme beneficiaries can link their Aadhaar card number with IPPB savings account for receiving the DBT money. They will then get the DBT money directly credited into their IPPB account, maintained at your neighborhood post office. DBT Schemewas launched in 2013 by the Government of India with an aim to reduce leakages by cutting out middlemen and transferring benefits/subsidies directly to the beneficiary's bank account. India Post Payments Bank will also soon launch a Group Term Life Insurance facility.